CHICAGO (AP) - Pep Barone, manager of heavyweight Sonny Liston is in a quandary. "I've got a contender and I can't get anywhere with him," he said. "I don't think that Ingemar Johansson-Floyd Patterson rematch will ever come off. I think the Swede won't defend his title for some time and nobody will put pressure on him to do it. "Why don't they let my boy fight Patterson? For that matter, why won't Zora Foley (the No. 2 contender) fight my boy? Things are really messed up." Liston a 211-pounder, knocked out Nino Valdes, another 211-pounder, in the third round of a scheduled 10-round nationally televised scrap in Chicago Stadium Wednesday night. A left hook to the jaw, a left-right combination and then a steaming right cross sent the big Cuban sprawling. He nearly got up at the count of 10, but not quite. He was a 6-1 underdog. 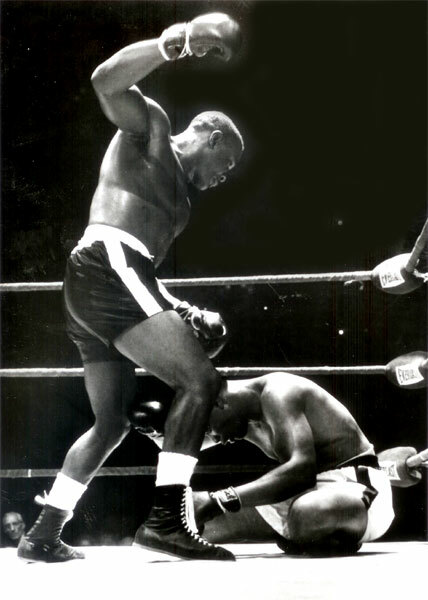 It was Liston's 18th straight victory, 16 by knockouts, and he now has won 25 of 26 starts. "Valdes thumbed me in the right eye in the first round," Liston said. "I had a hard time seeing out of it. I had to go out and find him and end it in a hurry." Bobby Gleason, Valdes' pilot, said his tiger never thumbed anybody in his life. "It was a left jab," he explained.